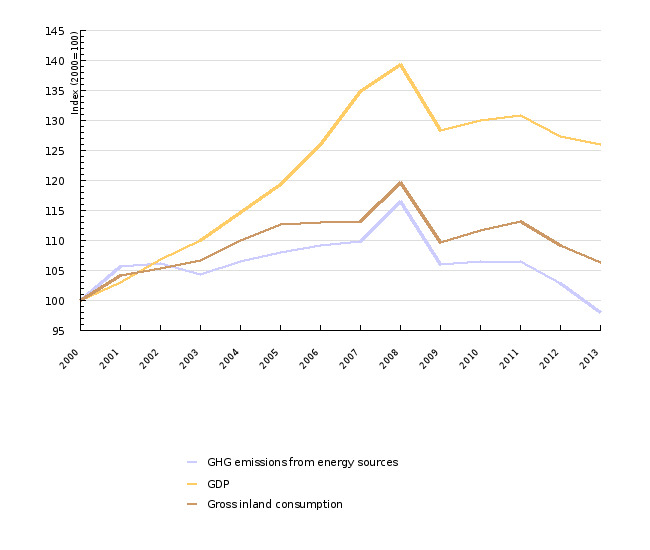 Energy use accounts for 82% of total greenhouse gas emissions in Slovenia. 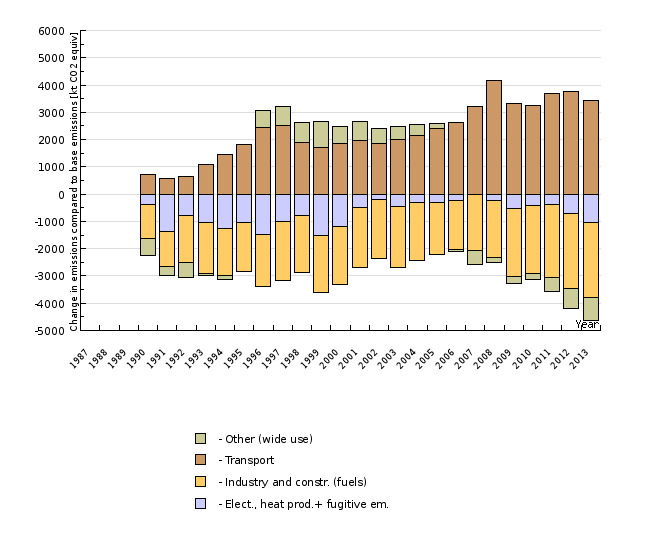 The largest source of emissions is electricity and heat production, followed by transport. 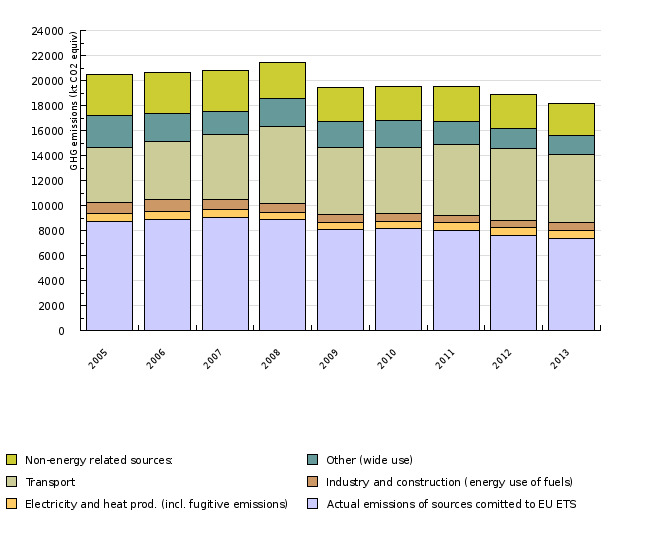 After the EU Emission Trading Scheme (EU-ETS) was introduced, only emissions from sources not included in the EU-ETS system have been relevant for achieving the country's goals concerning the reduction of greenhouse gas emissions by 2020. 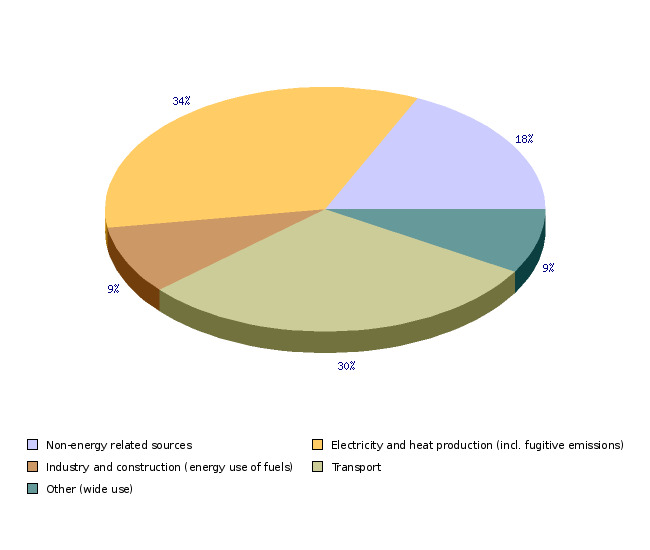 By far the largest source is transport, which accounts for 51%, while all energy-related sources combined account for 76%. In 2013, emissions were 12.5% below the target value for that year.